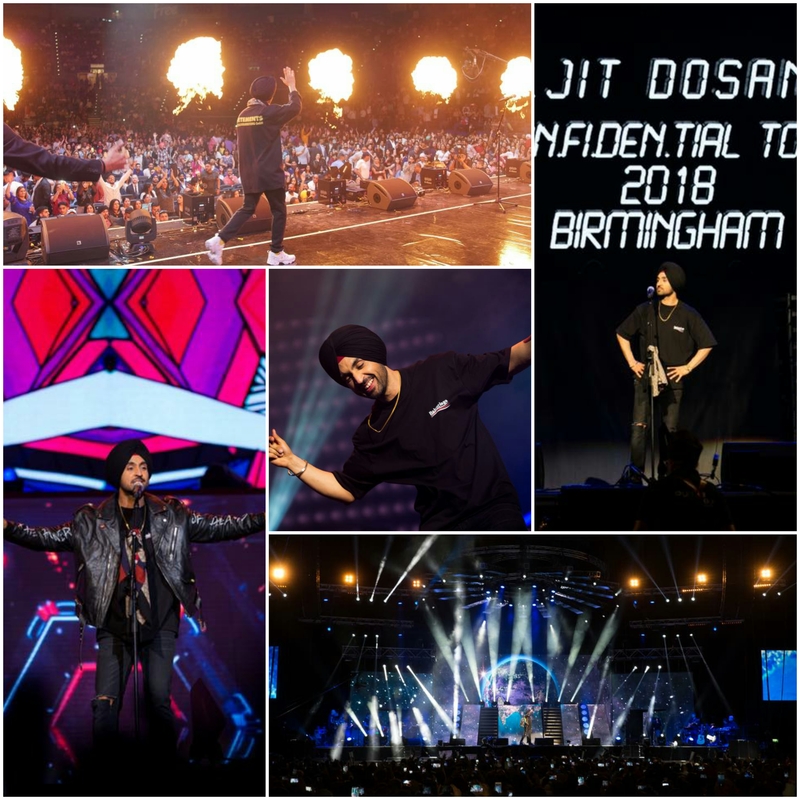 Diljit Dosanjh’s Birmingham Confidential show…where do I begin? Electrifying, energetic, encapsulating…magical, marvellous, mind-blowing…inspiring, innovative, incredible. Out of this world for sure! On Saturday 19th May 2018 history was made; the one and only Diljit Dosanjh was the first ever Indian superstar to sell out a show with over 9,000 fans attending. 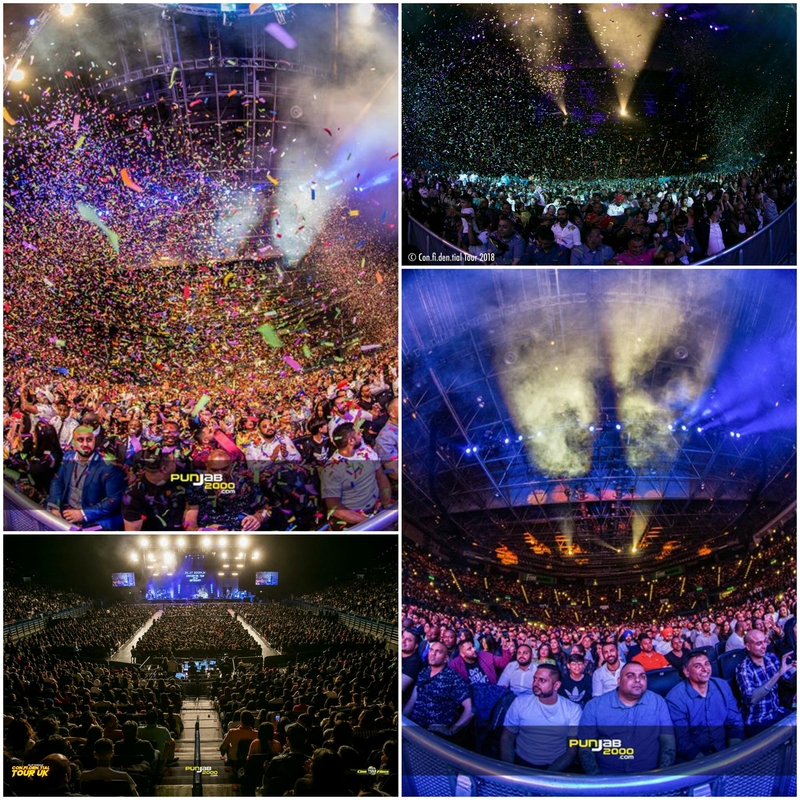 A Sikh Panjabi icon was the FIRST EVER Indian to sell out a show at the Birmingham Arena. 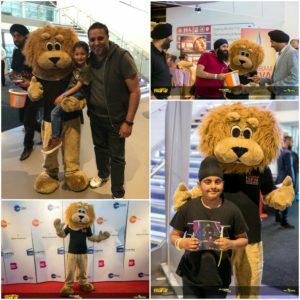 A multi-talented singer, dancer, entertainer and actor who proudly showcases his Sikhi roots and wears a turban accomplished such an achievement. If that’s not mind-blowing then I don’t know what is! The production, the music, the live band, the visual effects…they were all executed perfectly with immense precision like nothing you’ve ever seen before. But attending this concert left a significant impact on me and lead me to contemplate upon the future of Panjab, Panjabi and Panjabiyat here in the West. As a British born and bred Sikh Panjabi in my second year of University studying an Integrated Masters Degree in English, I am extremely passionate about my Sikh faith, cultural roots and ancestral history. I am very keen on taking Panjabi/Sikh studies into mainstream academia and was successful in getting my proposal of studying Panjabi Literature accepted at the University of Derby. I led my group (none of whom were Indian in fact) through a 12 week process researching, exploring and presenting an academic conference paper on the impact of the British Raj on Panjabi Literature, which was presented to the public at a conference. I have recently been awarded a University Scholarship for my Panjabi/Sikh Literature project proposal, which I will be taking further in my Undergraduate Dissertation, Masters Degree and potentially a PhD. But you must be wondering, how does Diljit Dosanjh fit into this? Well, attending his show made me feel, experience and fully immerse myself in the literary aspect of Panjabi music, which is not felt when reading Panjabi Literature and inspired me further. Diljit’s first song was my personal highlight of the show. The legendary song ‘Ki Banu Duniya Da’ which has been recreated by Gurdas Mann and Diljit Dosanjh left me with goosebumps. What a way to begin the show! I could feel, sense and see Panjab right here in the arena. Let’s just take a moment to fully appreciate the morals that the lyrics encapsulate…the virsa of Panjab, Panjabi and Panjabiyat. ‘Ghaghre vi gaye, phulkariyan vi gaiyaan’, traditional Panjabi attire has gone and people have adopted the Western clothing style, ‘Chal paaye valaiti baane’. ‘Raavi ton Chenab puchda, ki haal Satluj da’, after partition the 5 rivers of Panjab were separated between India and Pakistan and this metaphor represents this change in our land as the river Raavi asks the river Chenab how the river Satluj is. The lack of interest and respect of our Panjabi mother tongue, particularly in the diaspora, ‘aa gaiyan valeton angrez vadiyan, I don’t like the Panjabi Hindi nu, sharam ni aundi sanu gallan dindi nu’. The difference from listening to, dissecting and analysing this song at home compared to hearing it live, fully immersing in the spiritual side of it, has made me realise even more the prominence of music as a literary form in our Panjabi culture, which is very different to Western Literature and has been phased out since colonialism. Another literary element of the show was when Diljit sang the poem ‘Ik Kuddi’ which was penned by the iconic Panjabi poet Shiv Kumari Batalvi. Before Diljit sang the song, he referred to Batalvi as India’s equivalent of Shakespeare. Obviously as an English student this immediately grabbed my attention and whilst Diljit was fully immersed in singing the song, I felt even more passionate about not only reading Panjabi Literature and poetry, but studying it in an academic light and analysing it through the lens of literary theory. Having read many English translations of one of the most renowned Panjabi poems, Waris Shah’s ‘Heer’ (the tale of Heer Ranjha) and discovering how translation of Panjabi poetry into English loses the essence of the tale and alters the form to prose, hearing Diljit sing the poem heightened this lost entity of poetry when translated. 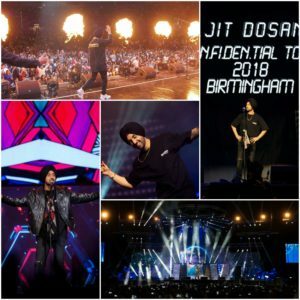 Diljit also performed his ground-breaking songs such as ‘Kharku’, ‘High End’ and ‘Do you Know’, which got the crowds up, dancing and singing along. 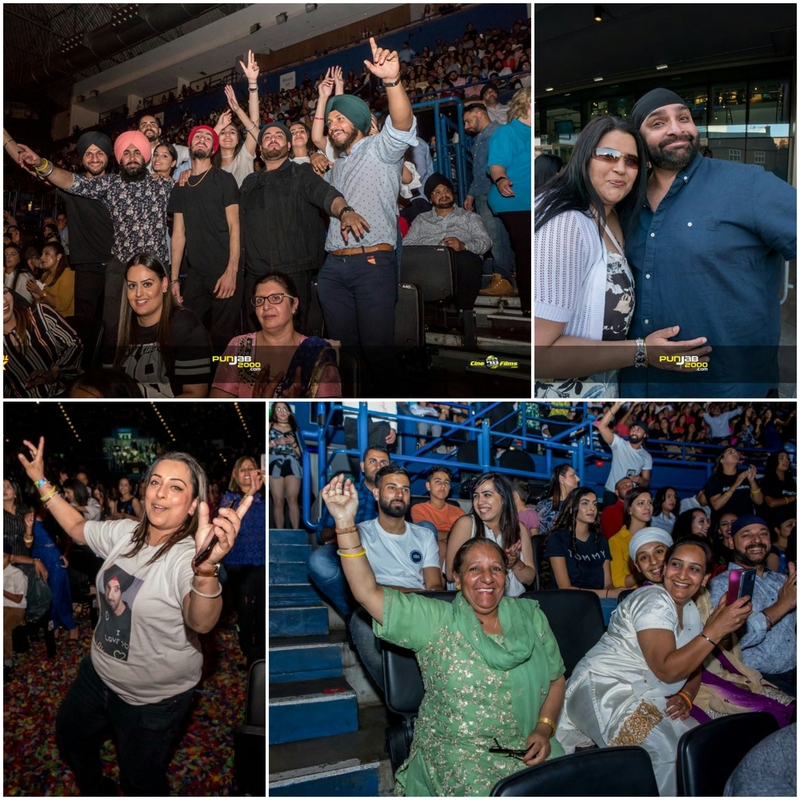 As a bhangra and gidha dancer for the team Vakhri Punjabans, I thoroughly enjoyed the bhangra dancers’ performance who accompanied Diljit on a few of his songs, well done to the dancers. It was amazing to see the Fizzogs grannies doing a special performance too. 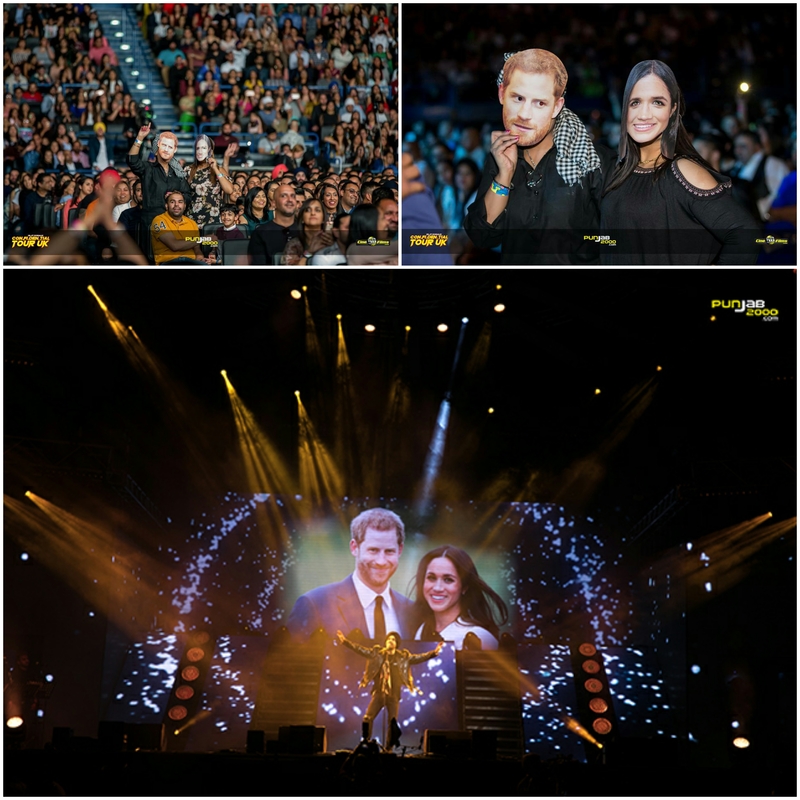 The diversity in the audience was also significant to note…babies, young children, youth, parents and even grandparents were enjoying the show. I also noticed some non-Indians too, wow! Once the show had gripped the audience, most of the arena was dancing along with Diljit and we could all feel the stands shaking. 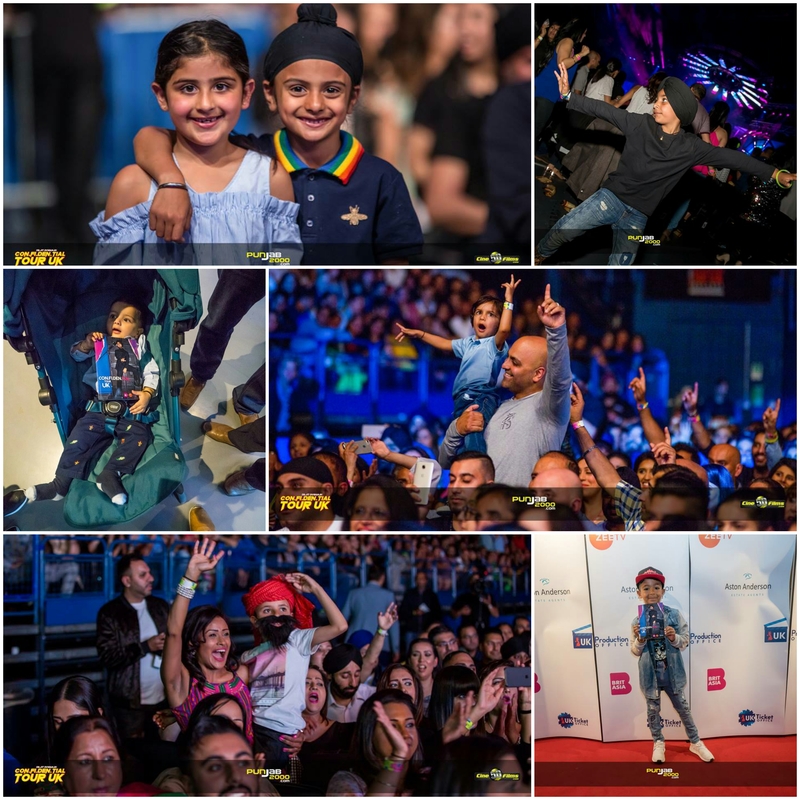 Lots of fans even wore Diljit Dosanjh t-shirts and even children were dressed up with turbans and beards, donning the Diljit look, the show definitely had a very family friendly vibe. But one quality which becomes rare as stars become more successful in the industry is their nimrata or humility. It was obvious from the very beginning of the show that Diljit had buckets full of respect, gratitude and appreciation towards his fans – he even bowed down on his knees to the audience at the start and end of the show, as well as continually thanking them for attending and supporting his work. His shout out to our Punjab 2000 team for continually helping, supporting and promoting Panjabi singers, music, films and culture left us inspired to continue our work towards never letting our culture die. 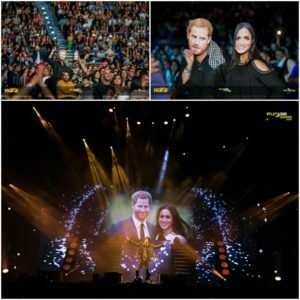 Another great touch to the show was the celebration of the royal wedding. Diljit’s fantastic song marking Harry and Meghan’s wedding really added a Panjabi touch to the festivities and was nice to see him acknowledging British history whilst making history in the Panjabi industry. After all, we do live in Britain so it is important to also respect our British culture. Most importantly, what really stood out was the seva aspect of the show. 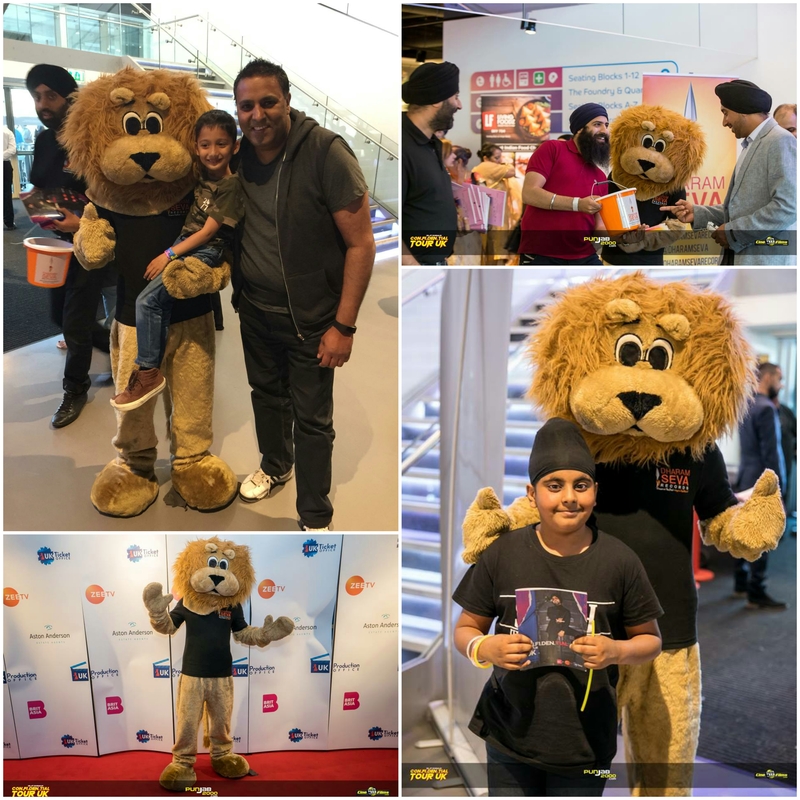 The Dharam Seva records volunteers doing bucket collections at the entrance of the venue and raising awareness about the cause was definitely an effective way to raise awareness about the charity and Sikhi. The initiative taken to create and distribute leaflets on each and every chair in the venue highlights the commitment to ensuring that the true essence of Sikhi never fades out in generations to come. The friendly lion character also engaged many young children and was a nice addition to the show. Who reckons it may have have been Diljit himself in disguise secretly mingling with the fans hey? So, after such an unimaginable experience, the concert has led me to explore other avenues of Panjabi Literature and has enabled me to experience the true essence of Panjabi music, songs and poetry, which is very different when studying this independently and working on various academic projects about Panjabi/Sikh Literature and culture. I’m pretty sure that this experience will certainly inform my academic career, especially the performance of ‘Ki Banu Duniya Da’, which I cannot wait to research further. It was evident that a substantial proportion of time, effort and commitment had gone into the tour and the team behind all of the magic did a super job, I even got the chance to meet Diljit’s manager after being introduced to him. 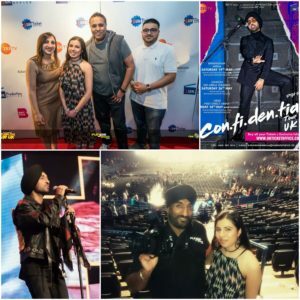 For many fans all over the world Diljit Dosanjh represents success, talent and inspiration. But for me he symbolises the importance of not discarding your Panjabi culture, ancestral roots and Panjabi maa boli in the times of modernity, especially in the West. 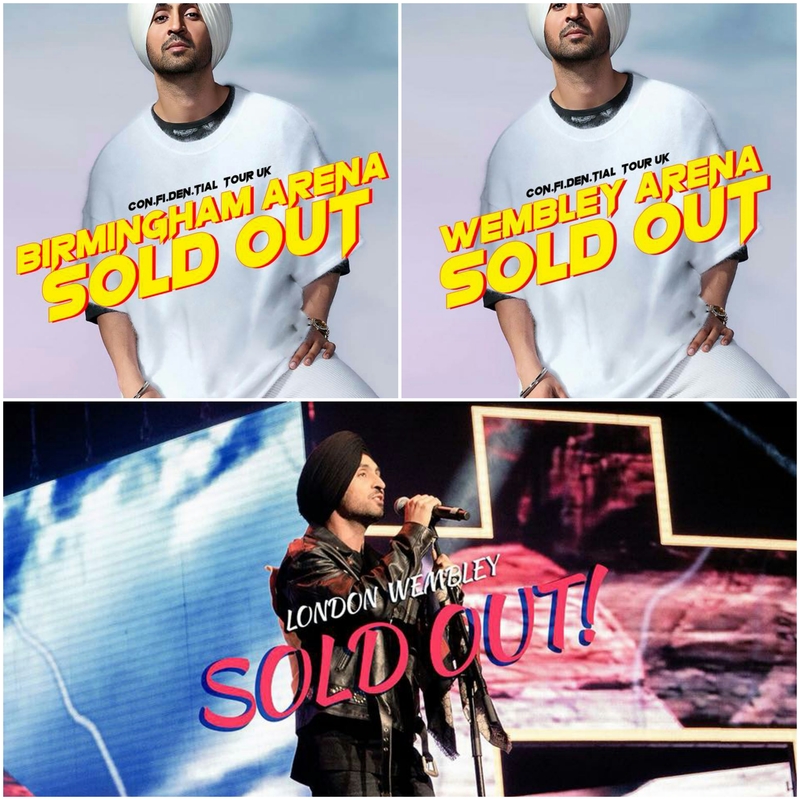 The fact that he was the first ever Indian to sell out the show and is a Panjabi Sikh sardar, shows how Panjabis can accomplish unimaginable achievements not only here in the West, but worldwide. Thank you Diljit Paji for this experience and inspiring me to continue working towards making Panjabi and Sikhi part of mainstream Western academia. Ultimately this is down to Guru Ji’s Kirpa. After attending the Birmingham show with my family, I am now looking forward to reliving the magic, gaining new insights and connecting with Panjabi music even further in London’s show this weekend with the Punjab 2000 team! Now that Wembley has sold out, make sure to grab your tickets for the Leeds show, taking place on Monday 28th May 2018, before this definitely sells out.